"Balance isn't the ultimate goal- knowing God is." I so appreciate the spiritual focus in this book and how it encourages us to trust God and lean on Him. I find that my life is most balanced when my spiritual needs are met first, then everything else falls into place (whether it gets done that day or not). In the last chapter of Balanced, Tricia gives several ideas for scheduling your work in order to be able to give a full effort at what you are focused on in the moment, instead of giving half-efforts at your different roles. The second list of ideas she shares is ways to clear out your inner clutter- the worries and concerns. the last list is 24 final tips, which are so helpful to me. "In Balanced I encourage readers to narrow down their “life themes” to eight. Why eight? None of us are just about one thing . . . and eight is enough to manage, believe me!" "Eight life themes are the things that come from the core of us. Yet during different seasons of life they may look different." Give your mind a rest and a dose of good, old-fashioned inspiration. Carve out some time today to implement one of my tips about finding inspiration and enjoy the feeling of creativity. Taking a moment to tell my daughter how special she is helped me realize what a precious trust God has given me in raising my children in love and righteousness. She is such a blessing and brings us so much joy- how important it is that she knows that and can see it reflected in my words and action. "Many hands make light work—and moms, you shouldn’t feel the need to do everything yourself. Schedule a quick family meeting today to talk to your kids and spouse about the responsibilities you all can share to make your load a bit lighter." I remember when my daughter loved to "help" sort and fold laundry, simply because we could do it together and it made her feel like a big girl. Now at age seven, she's learning just how much laundry mom folds on laundry days and how much of it is hers :) She's rising to the challenge though, and I'm so proud of her. I've discovered when there's the promise of a snack (especially a pickle) at the other end of the chore she perks up and moves more quickly. 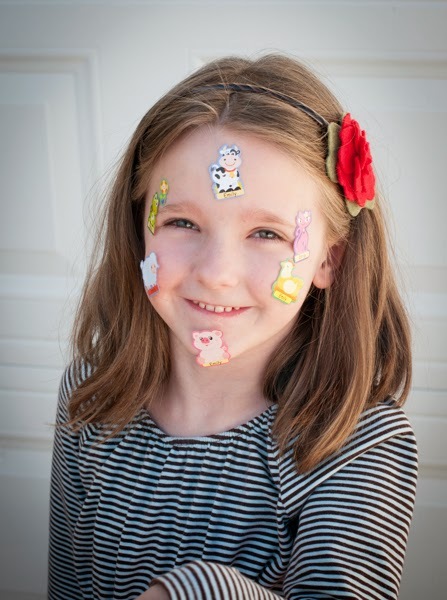 "Do you have an extra fifteen minutes before you need to hop in the car to pick up your kids? Make the most of them! Do a little laundry, organize a stack of papers, do a quick sweep of the kitchen. Those five, ten, and fifteen minutes add up throughout the day!" At the end of a busy day I usually look back and wonder how productive I really was. Even when I manage to use my spare time to catch up on the small stuff, it's not always noticeable when I look around the house- probably because things are where they belong and I tend to notice the mess, not lack thereof :) Having a working checklist of things to get done helps me remember when I do have some spare minutes what some options are for spending my time. In chapter five, Tricia talks about first forming your calendar with the things of highest importance, then filling the spaces with the rest that needs to get done. Otherwise, what is urgent will always come before what is important. This reminds me of an analogy on time management- You have a jar that represents your day. Some rocks represent the most important things, pebbles- less important, sand- trivialities. If you start by putting in the biggest rocks, you can add in the pebbles and then the sand that will fit in around the larger rocks. However if you start with the smaller less important things first, not everything will fit into the jar. Some things I would like to form my calendar with before I fill it are family dinner each night, family home evening on Monday nights, and scripture reading and prayer with my older daughter in the morning before school. What have you been called by God to do? Take a few minutes away from work and family to sit with your Bible and talk to God. Believe that God placed your dreams and passions in your heart. Find a verse that speaks to you about this, and post it today on your blog. While I love creating art, photography and crafting, at this time in my life I'm focusing more on the children in my life. I have two perfectly wonderful daughters that joined our family through adoption, and also provide daycare for two fun little boys. The steady additional income has been a blessing for our family, and it feels good to know that I'm helping their mothers in their callings as middle school teachers. They are entrusting me with their child- I don't take that lightly. It's my responsibility to provide their sons with a loving, nurturing, and stimulating environment during the hours they are away from their mother. 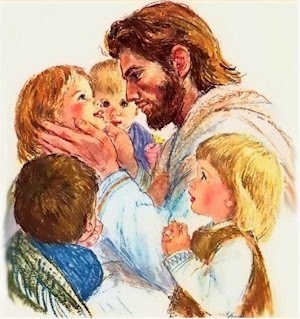 These are a few of the first pictures I remember as a young child depicting Jesus and his love for children. How can you get your kids involved in what you’re working on? How can they experience what your job is like and contribute to it? By providing day care for infants in our home, our seven year old daughter has become accustomed to having babies around and being a helper. She has grown in being willing to share my attention, learned how to safely play with babies, and enjoys the many joyful firsts that happen in that first year of life. 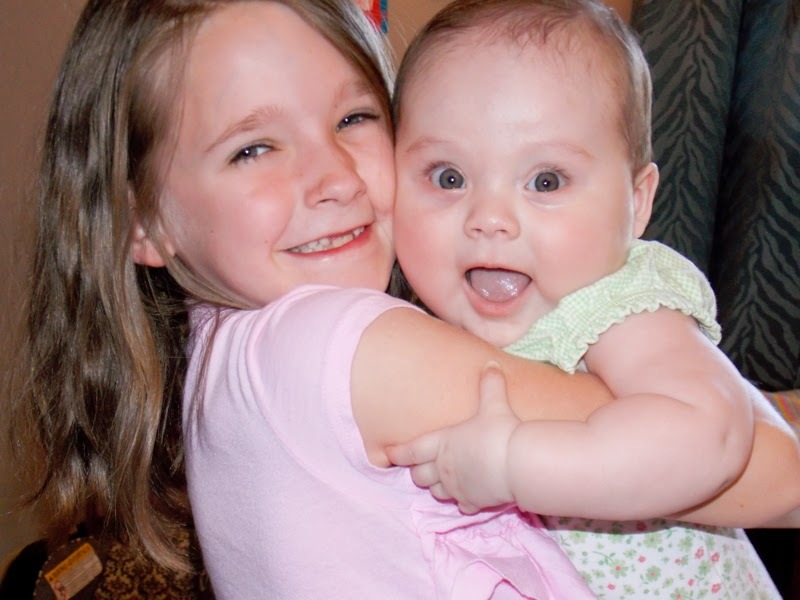 A wonderful blessing is that it really prepared her to be a big sister when we adopted our second daughter! Some of her responsibilities are helping hold the bottle during feeding, throwing away the diaper after I change it, and folding and putting away her own laundry. Even though my attention is often divided, I feel like our relationship is stronger for working together and showing trust in her abilities. Question: What can you do or change to make working from home actually work for you? Creating an office space? Cleaning up that office space? Looking into finding a babysitter for a few hours a day? Take the first steps in making the change, then take a photo of your progress and post it on your blog. This was an easy one for me- the hardest thing about providing daycare for two infants is that I never find time to get my dishes done. I've been hand washing them for four years now. The pile would often get out of control and several hours of my free time were spent catching up. It got to the point where I hated making dinner because it meant I would have more pots and pans to wash. We even lived off paper plates for several months during the summer! My husband is the sweetest, most thoughtful guy, and loves to surprise me. Often when we go on dates he won't tell me what the plan is, just for the element of surprise. 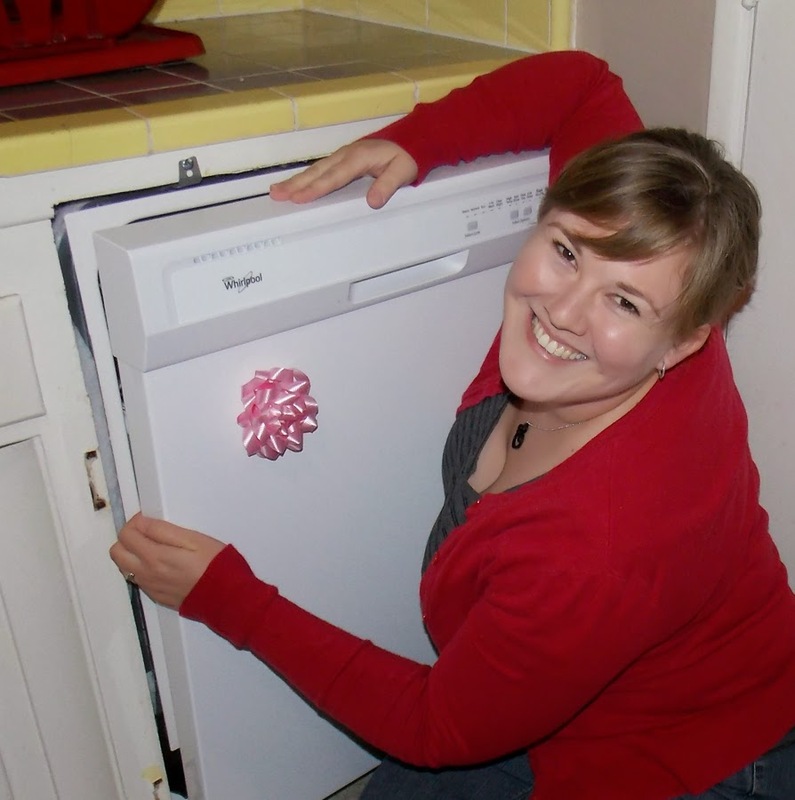 Well, this Christmas he asked my sister to invite me over for the day so he and our bishop from church (who is a general contractor) could install the dishwasher he ordered. When I came home, he asked me if I knew where the popcorn popper was (to get me to look in the cupboards that the dishwasher replaced). I was so shocked. A dishwasher?! We had tossed the idea around for a couple years, but I would always fall back on how much money we were saving by hand washing. Let me tell you, it has been worth every penny! My stress level has dramatically decreased, I can clean up after a meal and have sparkling dishes while I "chillax" and read a book with my daughter or watch a tv show with my husband. I no longer have that mountain of dirty dishes hanging over my head so I can focus my best efforts at caring for my munchkins. 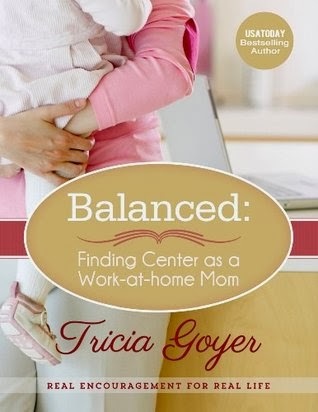 I'm currently reading Balanced: Finding Center as a Work-at-Home Mom by Tricia Goyer and will be participating in the blog tour when I review the book. In the meantime, I'm taking part in her Balanced eleven-day challenge! Determine what your priorities as a family are. Ask yourself a few questions: What do we want to achieve as a family? What will matter five years from now—ten years from now? 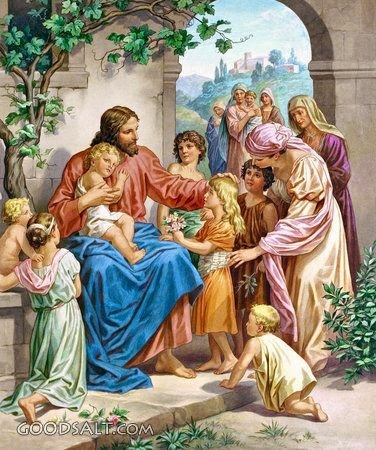 What will mold our children into God-serving adults? What will bring peace—not stress—to our home? In ten years our oldest daughter will be seventeen! It's hard to comprehend that fact. Of course the first thing I think is that I want to be in our own house by then :) I know we'd love to adopt another couple of children in that time. My husband will be continuing with his teaching career, perhaps moving into administration. I imagine that as we add more children to our family I'll phase out the infant daycare, but I'm sure I'll still be photographing families on the side. 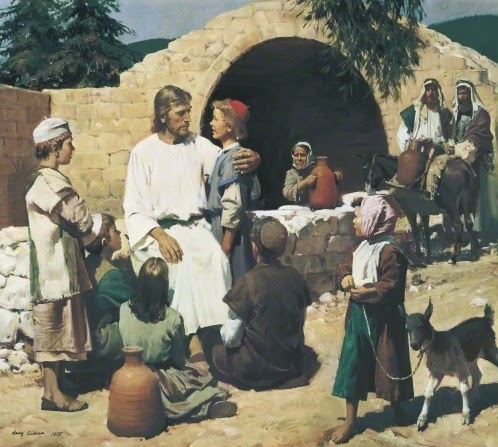 Our spiritual goals for our family are based on consistent family dinners and weekly family home evening lessons together, as well as daily scripture study and involvement in our church, especially through service. These are the years that are so dynamic and exciting, and making sure the most important things are top priority will help provide a solid foundation for our children and shape our family.